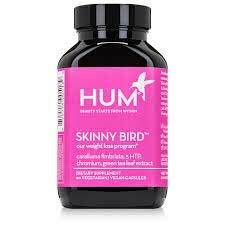 Skinny Bird is a diet pill brought to market by HUM Nutrition. The formulation is GMO free and suitable for people who cannot tolerate gluten. It’s also intended for vegan vegetarians, so it could be seen as having an edge on many competing products. As with all HUM products, customers who buy Skinny Bird are given a free nutrition report and connected with a personal nutritionist who can offer tailored advice and provide guidance on the best (HUM) products to use. That’s quite impressive, but it’s also a good way for the company to encourage customers to buy more supplements. Stress eating is a problem that effects some people, but not everyone will need this kind of support. A boosted metabolism is always a good thing though. It causes the body to burn calories faster. Appetite suppression is also an important diet pill feature because uncontrolled hunger urges are one of the main reasons so many dieters call it a day. Lots of diet pills contain chromium, so its presence here is in no way unique, but it’s a good ingredient to have because it prevents fluctuations in blood sugar levels (especially after a meal). Elevated blood sugar levels trigger the release of insulin, which may cause blood sugar levels to drop low enough to trigger cravings for more food. How To Use – The capsules have to be taken half-an-hour before eating and the recommended dose is one capsule, three times per day. Caralluma Fimbriata Extract (333mg): A good appetite suppressing ingredient that takes its name from the species of cactus it’s extracted from. The hunger reducing ability of caralluma fimbriata has been scientifically proven and the participants in one study, conducted in India, attained a “significant decline” in hunger levels that was accompanied by an equally impressive reduction in waist circumference. 5-HTP (100mg): A chemical that occurs naturally in the body and is a building block for the feel good hormone serotonin. The 5-HTP used in supplements is taken from a plant (griffonia simplicifolia) and is sometimes used as a treatment for anxiety and depression. However, researchers have evaluated the abilities of 5-HTP and state many of claims made for the ingredient are “exaggerated and inaccurate”. They also point out it can cause side effects and is not suitable for long-term use. Green Tea Extract (66mg): Research shows green tea can increase energy expenditure and fat oxidization for up to 24 hours. 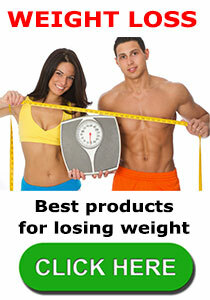 It’s one of the best natural fat burners there is, but 66mg may not be enough to deliver good results. Chromium (200mcg): A mineral that has become a diet pill regular thanks to its ability to control blood sugar levels and prevent cravings for sweet food. Skinny Bird is not intended for women who are pregnant or nursing a child. People who are taking medication are advised to get a doctor’s approval before using the product. Unfortunately, a number of customers say using the pills caused them to feel unwell, so we suggest all potential users seek the advice of a doctor before commencing use of this product. If you want to pay $60 per bottle (30-day supply) you can buy Skinny Bird via Amazon.com. A cheaper option is to buy it from the HUM website or via Sephora.com because, in both cases, the cost per bottle is only $40. There’s also a flat cost of $5.95 for shipping to US addresses (waived for orders of $50+) and the cost of international shipping is $10.95. There is no money back guarantee, but customers who try the product and find it isn’t to their liking have 30 days to return it and claim store credit. Skinny Bird probably offers the most value as a hunger controller because it contains a generous dose of caralluma fimbriata and the ingredient is known to work well in this regard. The presence of chromium will also be godsend to people who need help to battle their hunger urges. However, the amount of green tea provided is unlikely to be sufficient to deliver much of a metabolism boost and 5-HTP could prove to be more trouble than it’s worth. It also makes Skinny Bird unsuitable for long-term use. The lack of a real money back guarantee is also an issue because customers who experience negative issues or are unhappy with the way the product performs will not be able to pull their cash back. Skinny Bird is not without merit, but nor does it have as much to offer as many other products and anyone who is looking for a good appetite suppressing diet pill would do well to explore some of the other options available. 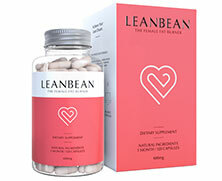 Leanbean is a revolutionary new diet pill for women. According to the official website, the formulation has been specially designed to “harness the power of nature” and burn body fat like a professional fitness model. This entry was posted in Appetite Suppressants and tagged Hum Diet Pills Canada, Skinny Bird Canada, Skinny Bird Costco, Skinny Bird Coupon Codes, Skinny Bird Diet Pils, Skinny Bird Sephora, Skinny Bird Shoppers Drugmart by admin. Bookmark the permalink.